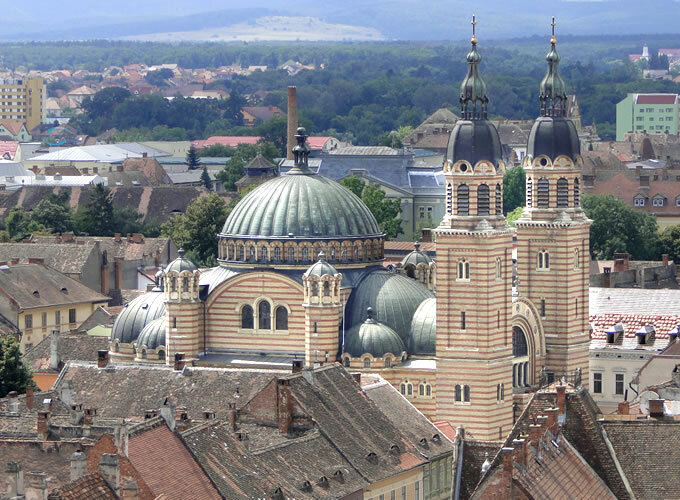 Sibiu is the seat of the Metropolitan Church of Ardeal (founded in 1861), one of the religious centers of the Orthodox Church in Romania. 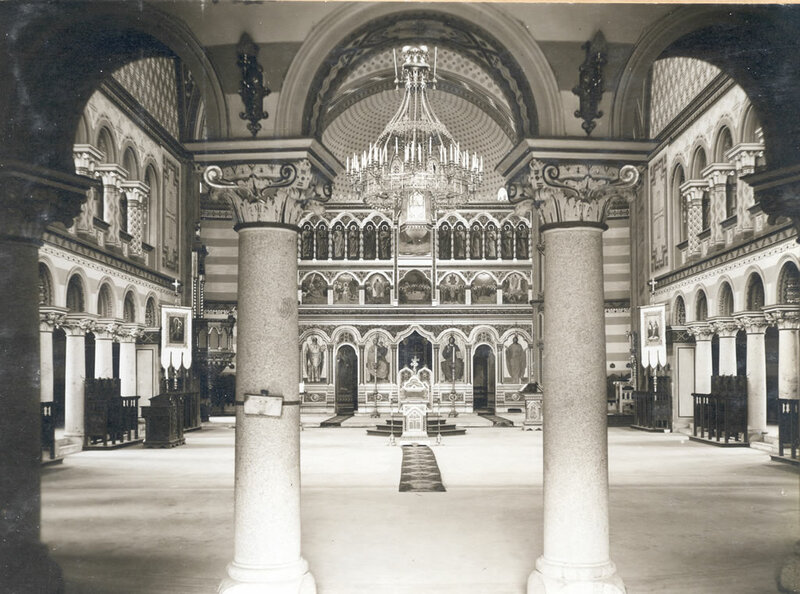 The initiative of building an orthodox cathedral in Sibiu belonged to bishop Andrei Şaguna as early as 1857, the actual building starting only in 1902. 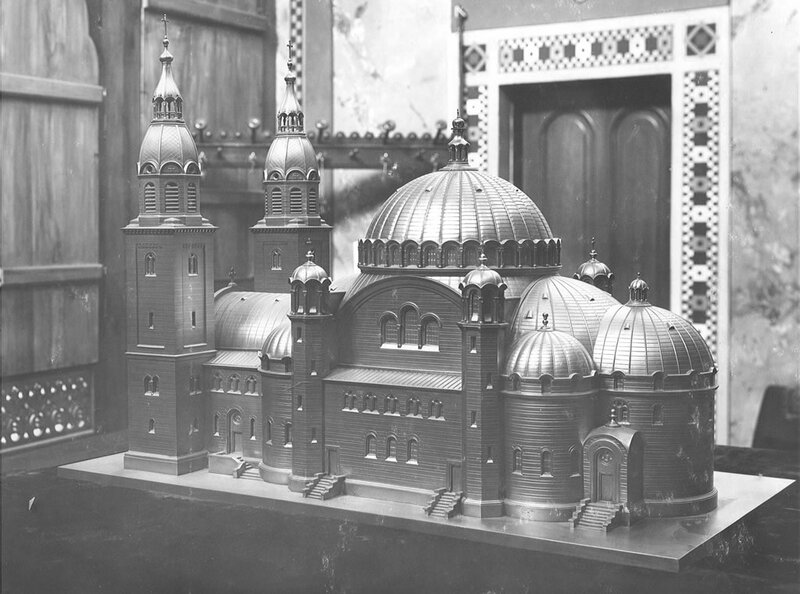 This ample edifice ha a symmetric organization and a central plan which attempts to copy, at a smaller scale, the elevation of the Saint Sophia Cathedral in Constantinople. 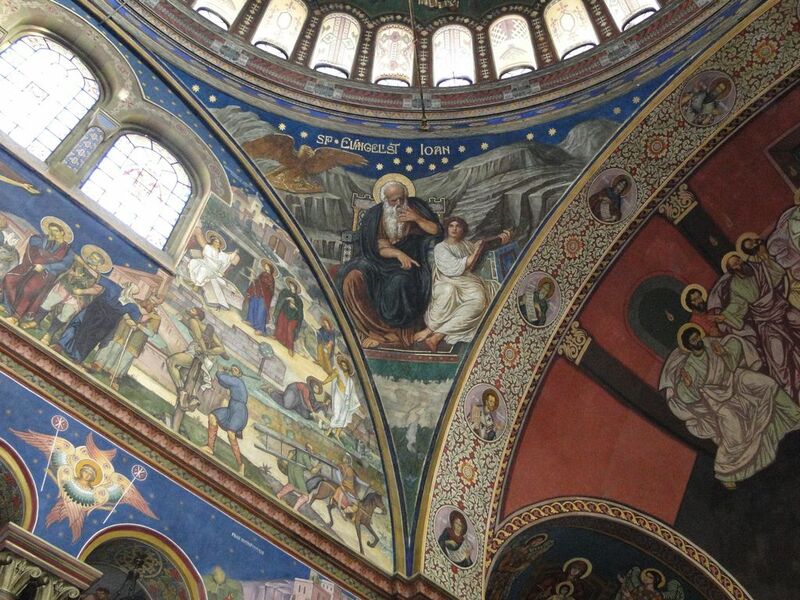 The original paintings of the church and those of the rood screen were made by Octavian Smigelschi. 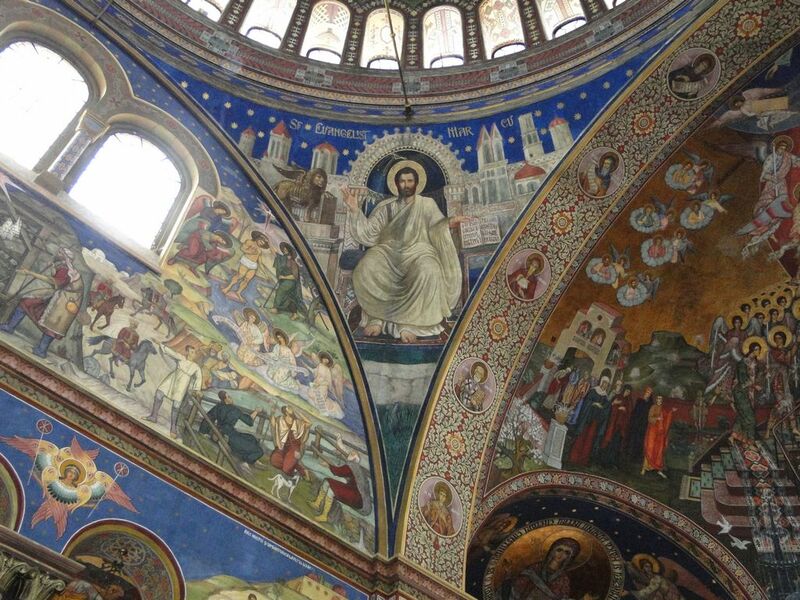 He was the promoter of the neo-Byzantine style in Sibiu, a synthesis between the Byzantine art and the Romanian folkloric art, inaugurating “the modern ecclesiastic art in Ardeal”. 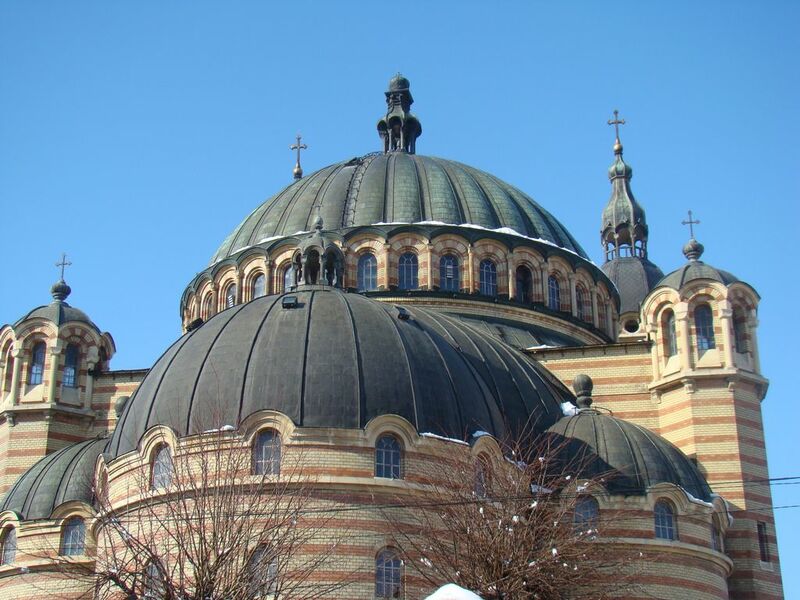 Work, coordinated by city architect Iosif Schussnig, began in 1902 and was finished in 1904, when the copper roof was done. 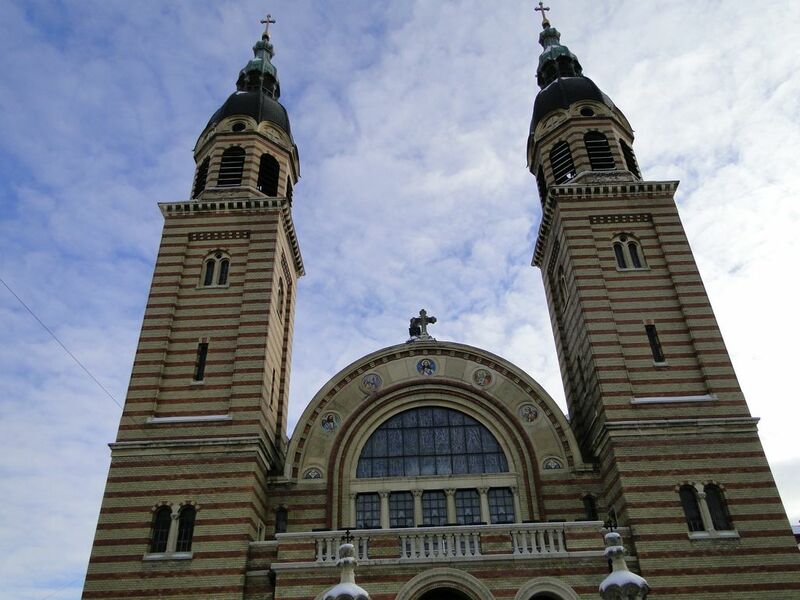 The plan, by Virgil Nagy and Iosif Kamner of Budapest, was chosen from among designs submitted by 31 mainly Austrian and Hungarian architects. 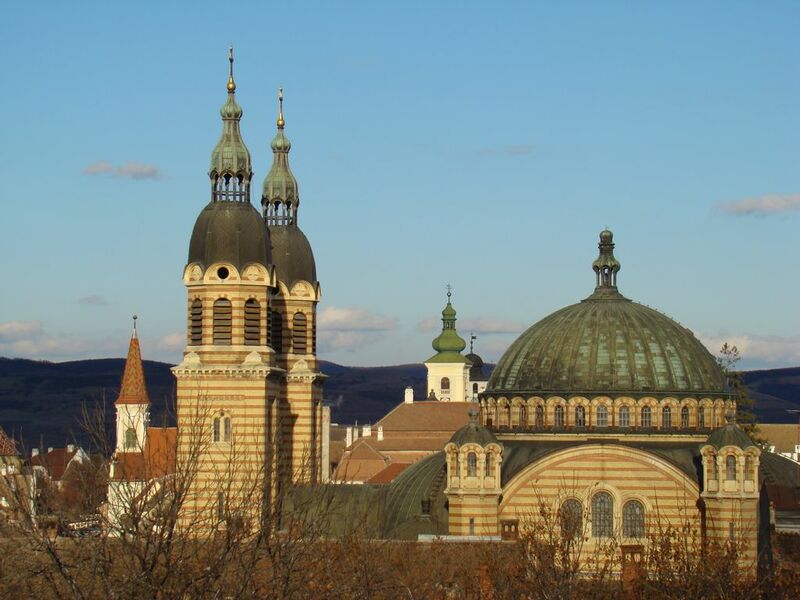 On 13 December 1904, the four bells were blessed and placed in the two main spires (during World War I, the Austro-Hungarian Army melted the three bells in the western spire for use as cannons; these were not replaced until 1926). 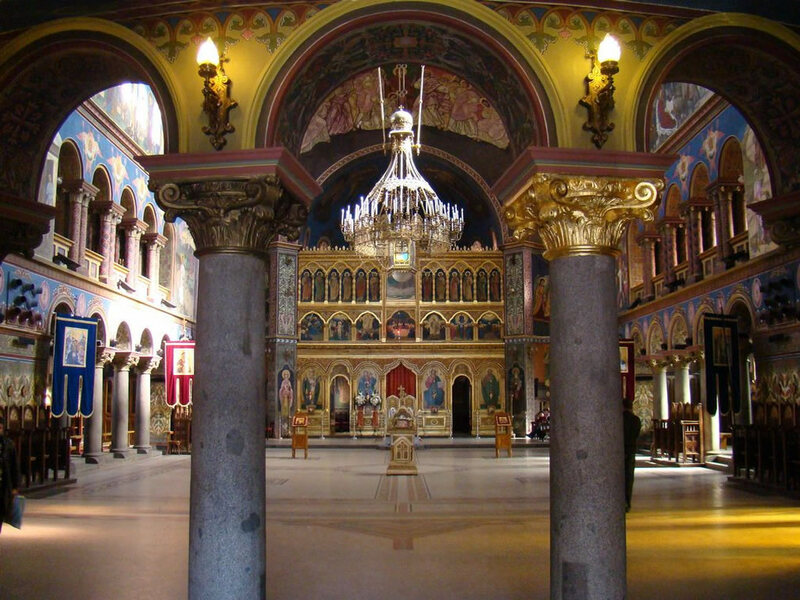 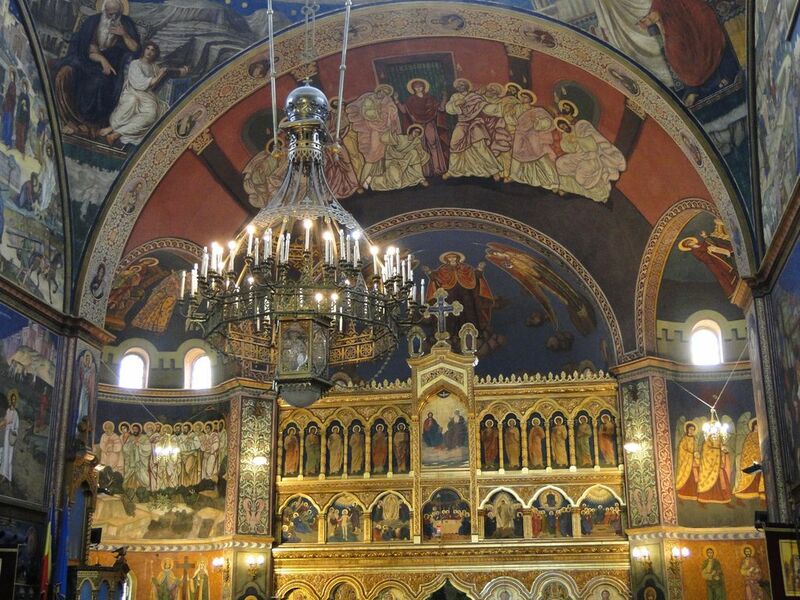 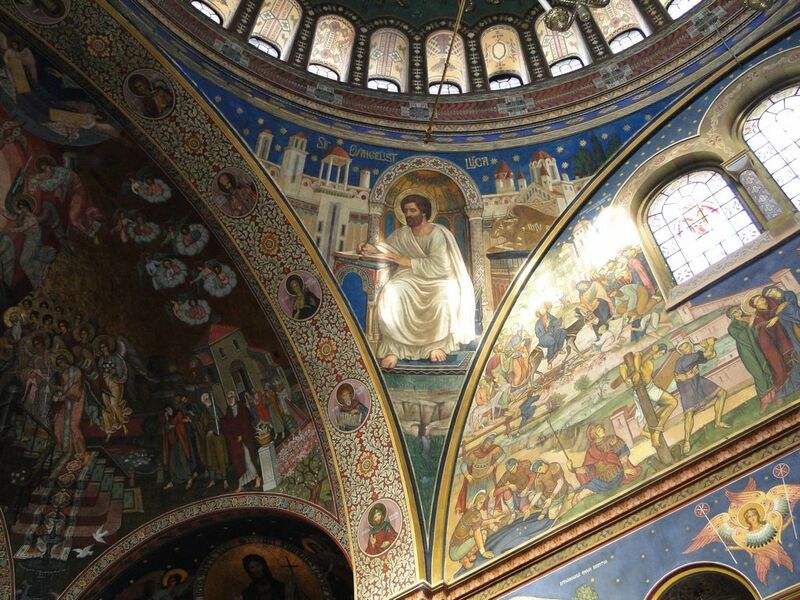 The iconostasis and kliros were then manufactured at Constantin Babic's firm in Bucharest; electric lighting was also installed. 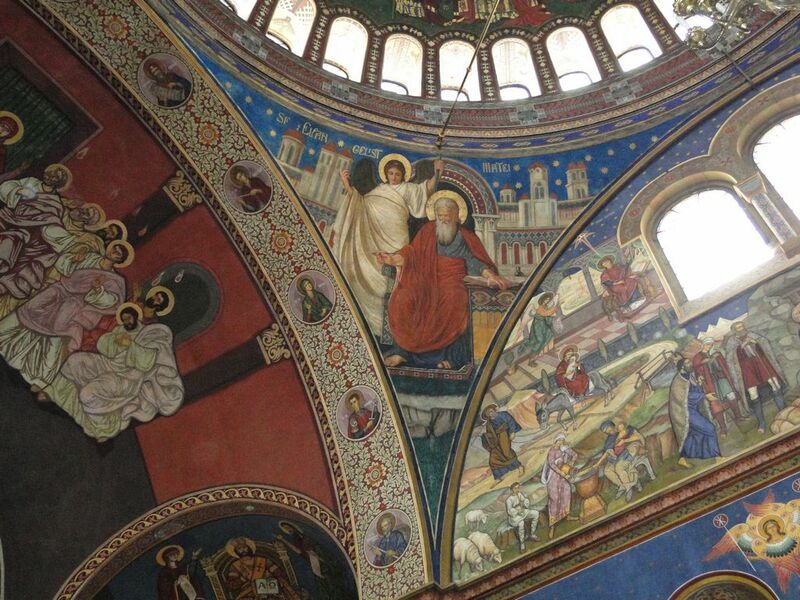 The iconostasis (of gilt carved wood) and dome (showing Christ Pantocrator flanked by angels) were painted by Octavian Smigelschi. 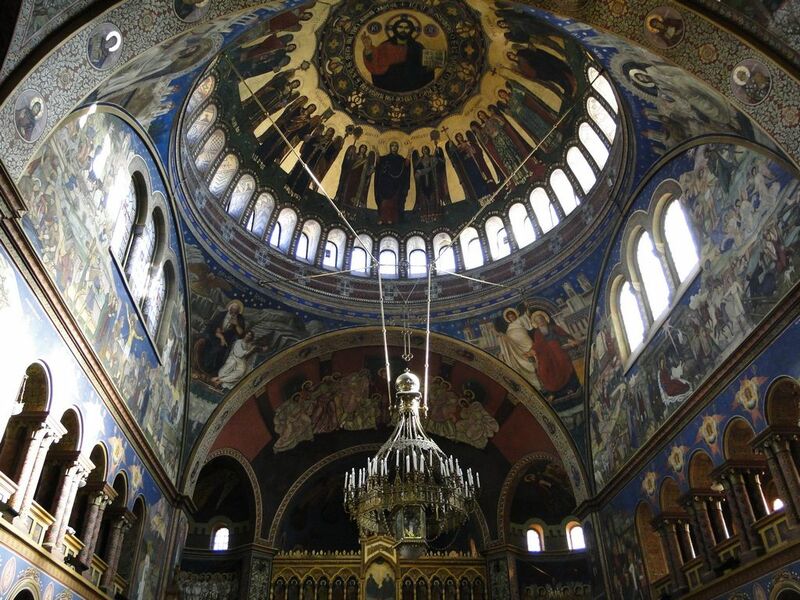 The cathedral is 53.10m long and 25.40m wide in the centre, the dome 24.70m high (34.70m on the exterior) and 15m in diameter, while the spires are 43m high (45m including the crosses).